"These are durable, easy to brush off and have a good thickness to them for supporting the dogs." These are durable, easy to brush off and have a good thickness to them for supporting the dogs. I use them in crates and in my dog truck. I plan to order more. "I love the cushion. 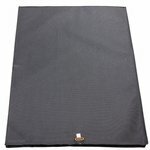 It is nice to have a mat that does not have to be washed." I love the cushion. It is nice to have a mat that does not have to be washed. "Happy with it. Dogs love it." Happy with it. Dogs love it. "I plan to buy another!" Firm cushion with a great dirt resistant cover. I plan to buy another! "Great and convenient bed for the crate, as well as when I take the dog out to the duck blind." Great and convenient bed for the crate, as well as when I take the dog out to the duck blind. "Rugged. Washes off and dries easily." Rugged. Washes off and dries easily. While the other softer more plush beds my dog has ripped to shreds, which resulted in him sleeping on the bare crate floor for awhile. This is the first kennel pad that he seems to actually use and not tear to bits. Highly recommend. "Side by side they are the right width and provide a comfortable ride." Use them in the bed of my truck. Side by side they are the right width and provide a comfortable ride. In fact I leave the tailgate open in the driveway, and the dogs hop in just for a nap. Works great. Dog loves it. Golden Retrievers and Aussies. Competes. Fits in crate nice. Easy to wipe off if needed. Recommend this mat. "So far so good, but she is a chewer." So far so good, but she is a chewer. "Very well made, but take heed of the warning that it is not chew proof." Very well made, but take heed of the warning that it is not chew proof. One of our 4 month old lab pubs chewed through the end in just a couple of nights in her crate with the pad. Other than that, for a non-chewer, should stand up very well and be comfortable. "Well constructed. Looks to be durable!" Well constructed. Looks to be durable! Wirehaired Pointing Griffon. Hunts. Family pet. Cleans up well. We used the last one as her place in Workshop and in her travel crate. Good moisture barrier for damp spots. A determined pup can and will chew through but overall a good product. The quality appears to be really good. It should be about twice as thick though. Not nearly enough cushion IMO, especially when dogs are cold and wet. 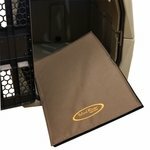 XL/Jumbo Brown KBG Dog Crate Cushion 32 in. x 22 in. Make sure your dog has a comfortable ride and is ready to perform upon arrival! Temporarily sold out. Expected to be back in stock by mid-April, 2019. The Mud River KBG Crate Cushion will make sure your dog has a comfortable ride and is ready to perform upon arrival. The top is constructed of 1200D Nylon with a light water resistant coating for quicker drying, and the bottom is made of waterproof industrial grade rubber. 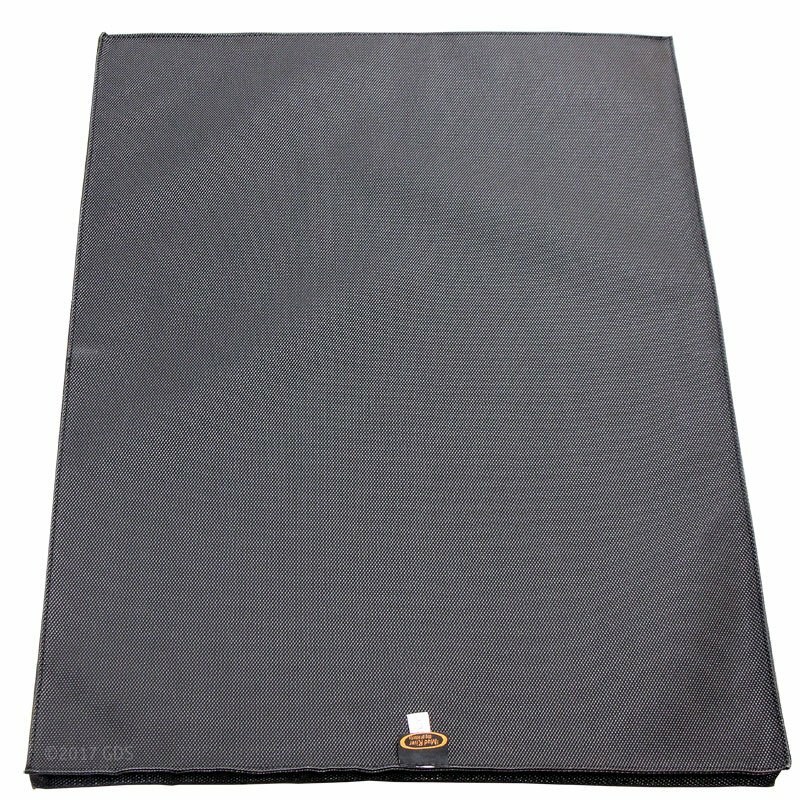 The KBG Crate Cushion also features whip-stitching to bond the two materials together around the closed cell foam padding, allowing it to take a ton of abuse. 1 year manufacturer's warranty. 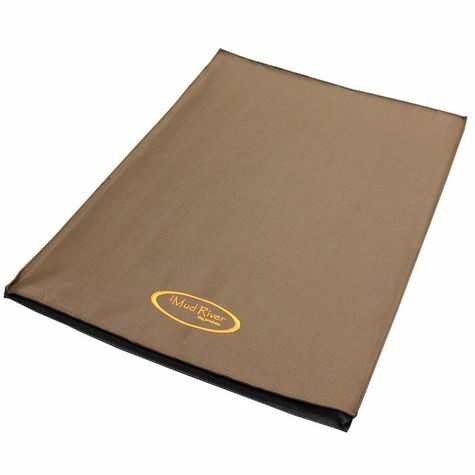 Small MAX 5 Camo KBG Dog Crate Cushion 24 in. x 16 in.